Step into the shoes of the famous Polish Magician Albini as he makes his way to another spectacular magic show with The Great Albini™! Known as the world’s master magician and illusionist, Albini gained worldwide recognition towards the start of the 20th century after moving to the US with his large-scale illusions which included levitations and vanishings that he had a habit of conducting while dressed as Mephistopheles. Discover the universe of this powerful performer and his spectacular shows in this online slot brought to you by Foxium. This Estonian slot provider may be new to the online gambling world, yet it has already made its mark in an oversaturated market with its slot games each more creative than the next, filled with high-quality and truly breath-taking graphics. This online slot features a short introductory movie which sets the mood of the game, further immersing the player into the intriguing atmosphere of The Great Albini slot. In the background, an up-tempo strings instrumental plays as we follow a black limousine through the busy streets filled with neon signs as it rolls up to the red carpet in front of the theatre. The crowd cheers as the vehicle approaches, the powerful beams of the spotlights crisscrossing the night sky above. Watch in awe as our Magician appears in a puff of purple smoke, already showing off his magic skills to his starry-eyed audience as he performs a few levitation tricks with his cane before letting Lily, his wonderful partner and co-star steal the spotlight. The couple then strides into the theatre and onto the grand stage, on which the reels are set, for yet another dazzling show. The reels seem to be floating in the air at the centre of the dark stage, as if they were levitating, our king of magicians standing on their left. He has been animated to showcase his legendary skills as you play! Dive into his magical world for a chance at winning up to x4000 times your stake and prepare to be spellbound by this video slot’s impressive RTP of 96.66%. This video slot game has 5 reels, 3 rows and 25 paylines. It is playable from a minimum bet of just 1p, whilst the maximum bet is of £50. On top of that, there also exists a casino mobile slot version of this game, meaning one may give its reels a spin from any type of mobile device, whether it is on tablet, smartphone or desktop. This online slot also features an array of beautifully designed symbols filled with intricate details and bright colours. The latter include the classic playing card symbols as the lower value symbols, such as the 10, J, Q, K and A. In order to make a win, one must collect at least 3 matching symbols on a betline. One may also come across a range of symbols depicting essential accessories for the great Albini to successfully perform his thrilling show, such as a yellow parrot standing on a perch, a knife target and a set of thimbles. These are medium pay symbols, the yellow parrot being that which will pay the most if one is to land a winning combo featuring 5 of this symbol. The highest potential winning combination however may be achieved by landing 5 of the symbol representing Albini himself on a payline. In addition, this slot machine also features a Wild symbol represented by an elaborate symbol reading Wild in large golden letters on a velvety crimson background, embellished with blue jewels. It may make an appearance on reels 2 to 5 and acts as a substitute for all other symbols found in this online slot both in the main game and during the Free Spins, aside from the Mystery Box, the Free Spins and the Aztec lady symbols. The Great Albini slot is full of fun special features which include one of Foxium’s latest additions to their games – the Bonus Box feature, which promises magical wins! This exciting Special Feature allows players to get extra Free Spins, which are themselves triggered when the Free Spins symbol lands on reels 2, 3 and 4. This combination of symbols will not only award gamblers with 12 Free Spins, but it will also convert the grid to a 5×6 layout with 50 paylines. Watch as the stage is suddenly illuminated by a purple light as Lily appears on the right-hand side of the reels, a blue cloth covered in bright golden stars at her feet. If she covers herself with it, this means you are about to unlock the Aztec Lady feature. 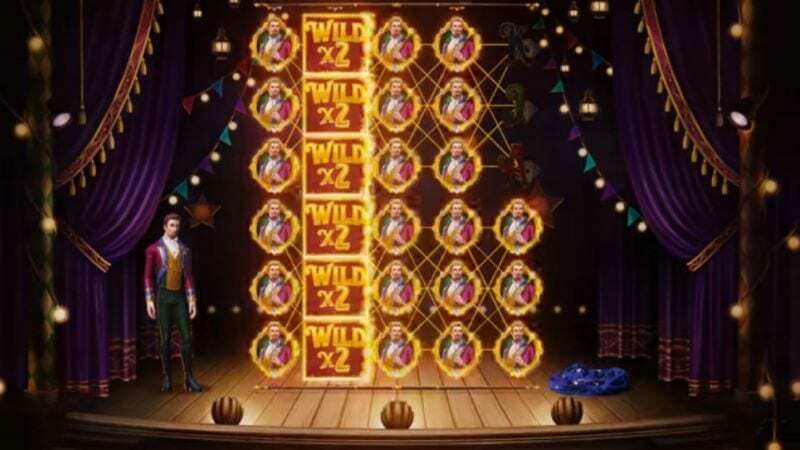 It is activated when a sticky stacked Wild symbol representing Lily makes an appearance on reels 2, 3, or 4 which on top of acting like a standard Wild symbol gives players the opportunity to receive a Re-spin with all wins subject to a 2x multiplier. Icing on the cake, the Aztec Lady feature may be re-triggered during the Re-Spin. As regards the Bonus Box Feature, it allows players to purchase an additional 8, 10 or 12 Free Spins with the Aztec Lady feature using their winnings. These Free Spins will be played using the bet level at which they were triggered. If luck is on your side, you may even trigger the Mystery Box feature. This thrilling Special Feature is activated when Mystery Box symbols appear stacked on the central reel, which will then reward gamblers with 3 re-spins during which all the Mystery Box symbols will lock themselves in place. Any further Mystery Box symbols appearing on the reels will also remain locked in place. With every new matching symbol landing on the reels during these Re-spins, the remaining amount of Re-Spins will automatically be reset to 3 until no more Mystery Box symbols appears or until the whole grid is filled with them. Now that the Re-Spins are over, the Mystery Box symbols will transform into another symbol picked at random. You can end up with a full screen of any symbol apart from the Wild or the Free Spins, which is sure to offer some huge winnings! Aside from all this, this online slot machine also has an in-game achievement feature which allows you to keep track of what you achieve on this slot game, which really enhances the gameplay. Dive into this online video slot filled with magic and glamour in which you will have a chance to witness one of history’s most famous magician and illusionist perform his show. The Great Albini is yet another of Foxium’s awe-inspiring slot games. Not only it is filled with stunning graphics and sensational Special Features, but it was also complemented with a mystical soundtrack which adds an enchanting atmosphere to the game and really make for an unforgettable gaming experience. Add to that an incredible payout percentage of 96.66% and a hit frequency of 25.30%, this slot machine has much to offer. It is ideal for players of all ages with a taste for magic, yet being a Medium-volatility slot, it is also perfect for gamblers who seek relatively frequent medium-value winnings. As if that wasn’t enough, it is also a mobile slot, meaning it available not just on desktop but also on tablet and mobile phone. Given the reels a spin and follow the great Albini alongside his charming assistant Lily as they set out for yet another wonderful spectacle. If you get lucky, you may have the opportunity to win x4000 your wager!